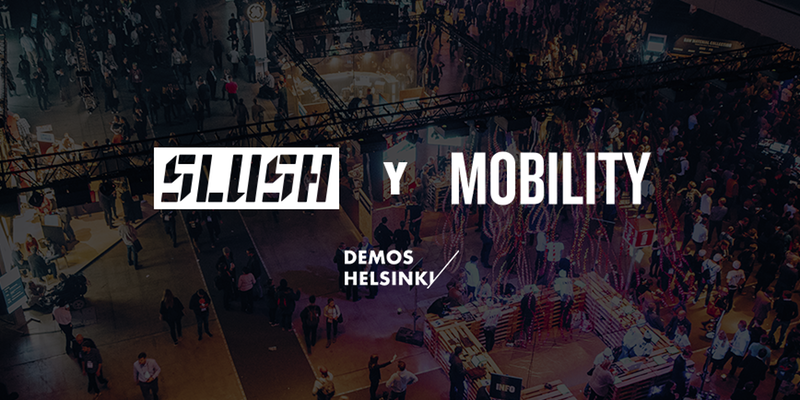 On behalf of Demos Helsinki and Demos Effect, we would like to warmly invite you to participate Slush Y Mobility on December 1st in Helsinki, Finland. Slush Y Mobility is a free to attend event on the Future of Mobility. In Slush Y Mobility we ask: What should the vision for 21st century mobility be? What needs to happen for us to get there? What do the solutions look like? During the five-hour event you will have the chance to listen to world-class keynotes and panel discussions, meet leading mobility startups and network with key international business and city leaders. Jan Brecht, CIO at Daimler AG, Zhang Yanqi, COO at Ofo, Sampo Hietanen, CEO at MaaS Global, Lucy Yu, Director of Public Policy at Five Ai, and numerous other representatives from leading mobility startups, researchers and government and city officials.